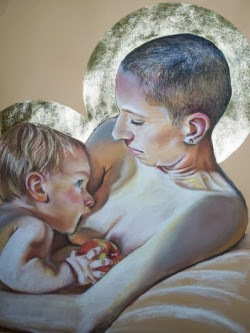 American Artist, American Painter, childhood paintings, Figurative, Figurative Painter, Mother, Paintings, U.S.
Kate Hansen graduated from the University of Regina in 2001 with a BFA in fine arts, focusing on painting. Her grad show was at the Mackenzie Art Gallery in Regina, and it was a series of figurative oil paintings. She was married in 2002 and moved to Crowsnest Pass in the rocky mountains of Alberta. She continued to paint during this time, exhibiting several times with group shows at the Crowsnest Pass Art Gallery. 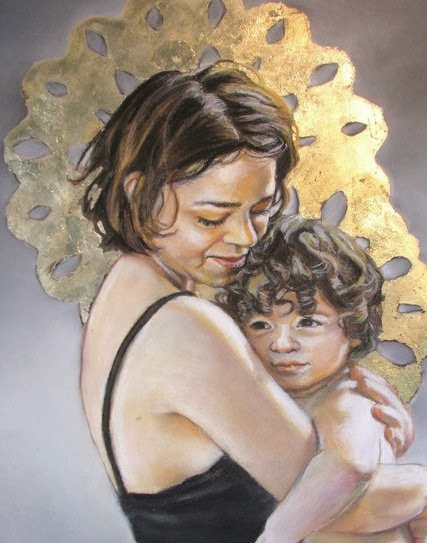 In 2007 she gave birth to her first child, and began to work with conte crayons instead of oil paints. 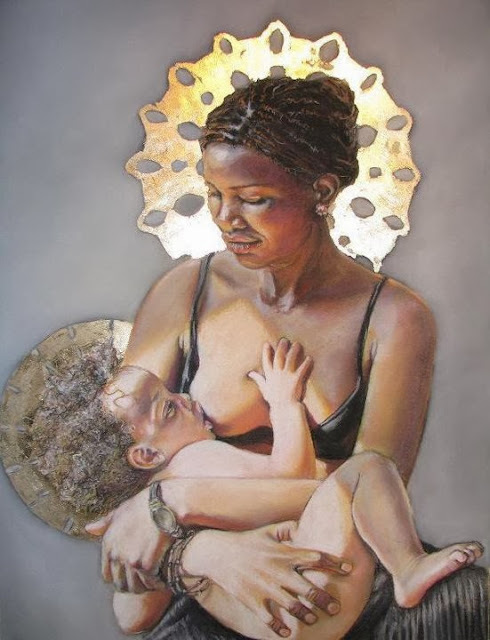 Her series "Madonna and Child" was inspired by the birth of her son. In 2008 the family moved to Courtenay on Vancouver Island in BC, and their second child was born shortly thereafter. Kate continues to live and work in Courtenay with her family. 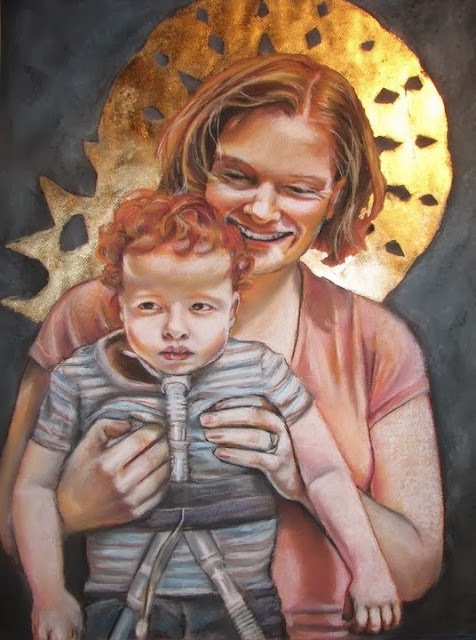 After the birth of my son in 2007 I felt an incredible energy and drive to make art. 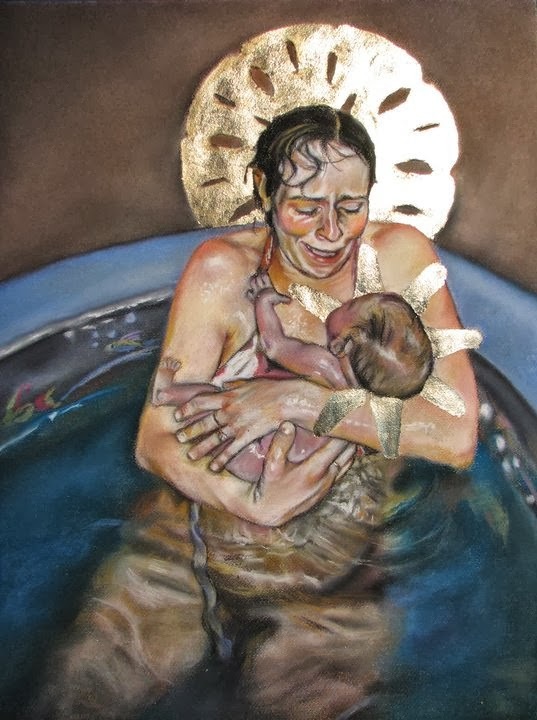 Contrary to the popular belief that art making is one of the things that fall to the wayside after the birth of children, in my case I felt inspired and compelled by my experience of childbirth and motherhood. It was almost as though the creative act of making another human being awoke a creative drive in me. I also found that the time limitations involved in caring for an infant forced me to be more disciplined in my art making. I would eke out hours here and there when my son was sleeping to continue my portraits. After my daughter was born in 2008 I had determined to form a series of mother and child portraits and accompany them with birth stories written by each subject. 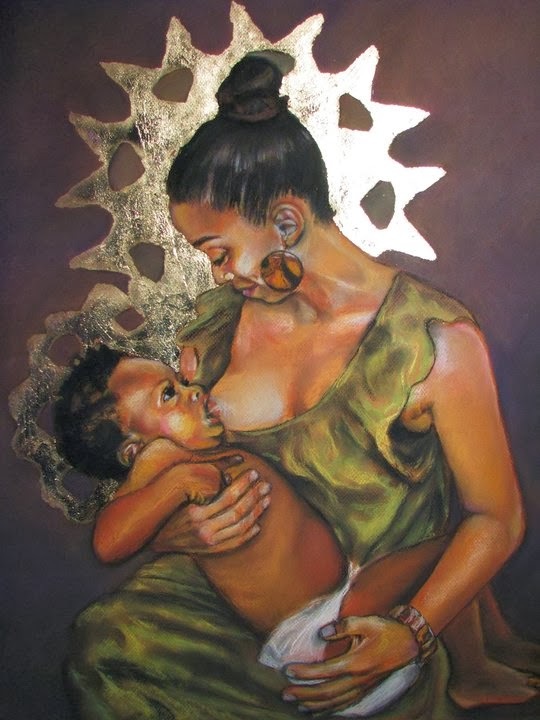 I wished to express simultaneously the imperfection and fallibility of the mothers but capture an element of the divine in the mother/child bond. Each mother also shares a birth story, be it life changing, beautiful, or a harrowing experience, and these common stories serve to unify a very diverse group with a common theme- of love, of self sacrifice, and transcendence. I owe this inspiration to my children- for their beauty, for their challenges and for the unique bond of motherhood that I hope to capture here." 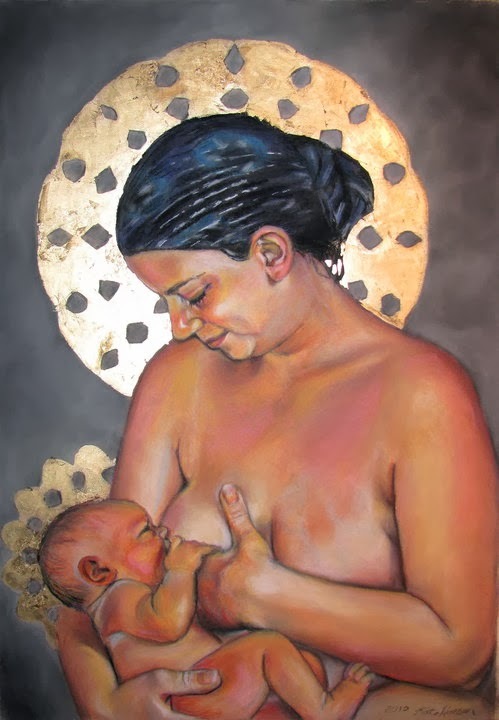 Tags: American Artist, American Painter, childhood paintings, Figurative, Figurative Painter, Mother, Paintings, U.S.